SDC Energy recently launched Powering Title 24 to help apartment building owners and builders be in compliance with California’s Title 24 mandates. By blending solar carports, tax-enabled financing, and a virtual metering system, Powering Title 24 can help to create long-term benefits. SCE Energy has partnered with Baja Construction, a leading solar carport builder, and Grid Technologies for its virtual metering system. SDC Energy provides the tax-enabled financial solutions and integrates all the components. 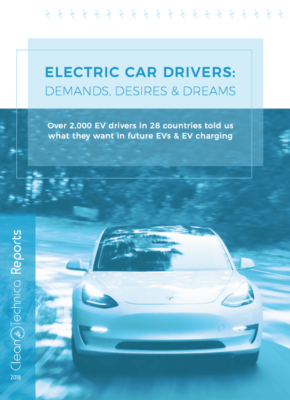 Charles Schaffer, President of SDC Energy, Dover Janis, Co-Founder & CEO of Grid.Technologies, Inc., and Terri Mierkey, Marketing Manager and Baja Construction Co., Inc., answered some questions about the program for CleanTechnica. 1. How can Powering Title 24 help new building owners and operators be in compliance with the new and upcoming laws? 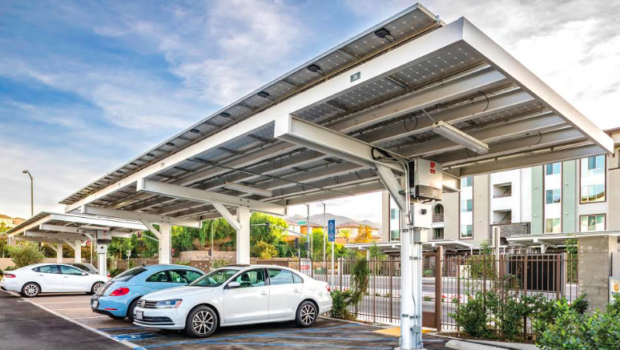 Powering Title 24 combines solar carports, virtual net-metering software and tax-enabled financing to help apartment builders and owners convert Title 24 mandates into long-term benefits. Multifamily properties will see even more changes in 2019. AB 802, which will take effect in June of this year, requires all California multi-family building owners to disclose their properties’ energy usage to reveal their level of Title 24 compliance. Leveraging solar energy will be a critical component in compliance strategies. Under Powering Title 24, SDC Energy and its partners offer building owners and operators a turn-key solution that meets the state’s requirements without adding to their construction budget. Rather than building standard shade structures, Powering Title 24 offers solar-enabled carports that provide substantial tax credits and accelerated depreciation benefits. The result is that the tax benefits offset the construction costs of the carport itself, the latter of which acting as a racking system for the PV. This means building owners and operators are meeting compliance at no additional cost –- in fact they can actually create a new revenue stream instead in selling the solar back to their tenants. 2. Are carports easy to build and equip with solar power systems? How long does it take to complete one? Yes, carports can be easy to erect. All of Baja’s carports are pre-engineered using steel material that is pre-fabricated for the customers property’s parking lot. There is no intended field welding. Because Baja’s design engineers are experts in carports and parking lot design, this aligns product delivery and crews for a fast-track installation. Keep in mind, the carport BECOMES the racking system, modules are attached directly to purlins which are spaced out according to the module size, eliminating additional mounting components. Baja’s solar carports are design-engineered based on the parking lot’s site specifications and its layout. The goal is [always] to have the maximum amount of spaces covered while achieving maximum module production. Modules can be mounted either in portrait or landscape to gain canopy coverage and production, to conform to row parking space compliance and restrictions [size, lengths and depths]. Furthermore, duration for installments can also depend on the soil conditions in regards to the structures’ footings, landscape and overall terrain of the property’s parking area as well as accessibility and cooperation provided by the property’s owner and end-users. During installation, areas of the parking lot can be kept in operation while those under construction are closed off for tenant safety. We are fortunate to be partnering with Baja Construction Co., Inc. on this initiative. Baja Construction supplies 70% of all multi-family carports in California and is the leading carport installer for the solar industry. The canopy company was one of the first to utilize solar panels as the actual rooftops for carports. Hence, embracing its innovative product by branding itself; “Baja Carports.” Their industry experience is excessive. Baja currently builds canopies for 12,154 parking spaces, 2,064,290 square footage which is 22 MWs of solar electricity annually, nationwide. Most recently, Baja installed a 3.6-MW solar support system for the California Department of Franchise Tax Board’s main parking lot in Sacramento. 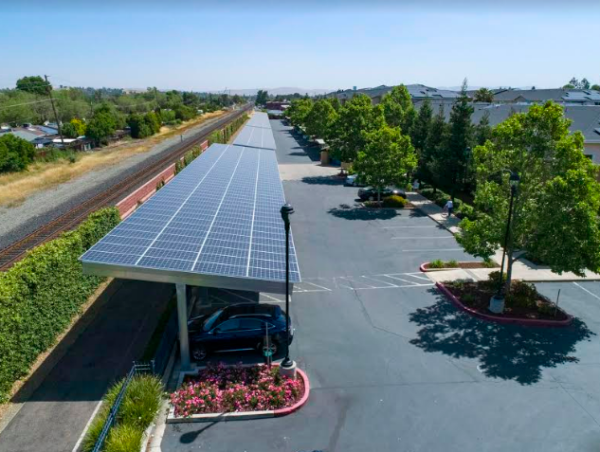 Completed in 2017, the solar carport project was awarded the Installation Project of the Year from Solar Power Magazine; it is one of the largest business campuses in northern California and is the state’s largest solar carport installation. Carports can easily be designed and engineered as solar racking systems and installed, once completed they provide shaded parking and vehicle protection. Unlike roofs, carports with solar panels as their actual rooftops aren’t expected to be waterproof. Installing modules on a building’s rooftop involves penetrating the roof for the system’s racking mounts, which if isn’t sealed correctly can lead to leaks. Additionally, if the roof needs a replacement within the lifetime of the panels, these will have to be installed a second time. A solar carport system requires minimal maintenance and helps preserve the parking lot surface from erosion — streamlining overall cost for parking maintenance and upkeep. Installing solar carports does not impact the building’s aesthetics or design; instead they often compliment the project’s appearance and curbside appeal. 3. How can the virtual metering system generate a passive revenue stream? Powering Title 24 combines solar carports from Baja Construction with sub-metering software from Grid Technologies that intelligently monitors the electricity produced and calculates its monetary value into an automated billing system, for the benefit of the tenant and the tenant. Grid’s energy monitoring system leverages ‘virtual’ net metering to simplify the monetary value passthrough of solar power to tenants. Under the virtual net metering system, the financial benefit of the solar energy that is provided to the tenant ensures electric utility cost savings. At the same time, the property owner receives long term revenue for providing that value to the tenant. The platform monitors the distributed monetary solar value and incorporates it into a single tenant sub-metering bill. The Ivy platform eliminates the need for manual monitoring or sub-metering calculations through its proprietary monitoring algorithms and its major utility rate database integrations. This means building owners gain financially; Grid has seen this strategy increase property values up to two and a half times the cost of the solar installation. In a survey of 2,800 apartment residents — three in five of them under the age of 34 — found that 84% of tenants say that living in an eco-friendly building is important to them, and nearly two-thirds would pay more to live in a green community. Grid’s virtual net metering software helps tenants live in eco-friendly buildings without paying more in rent. 4. What tax credits are associated with solar carports? The same that apply to other solar systems! The Federal Investment Tax Credit and IRS 100% depreciation schedules as well as any other local or regional incentives at the CA state level. 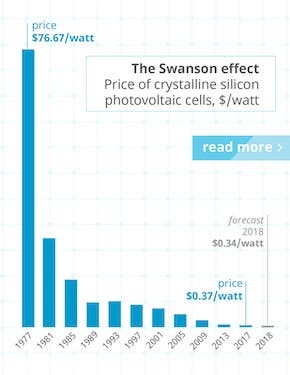 The federal energy Investment Tax Credit (ITC) was expended in 2006 to stimulate the solar industry, increase demand and drive down the cost of photovoltaic technology. 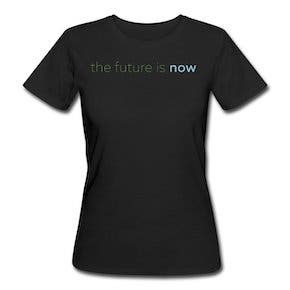 As a 30 percent non-refundable credit currently, the ITC applies dollar-for-dollar against income tax. As such, it cannot exceed the taxes owed, but it can be carried forward every year for up to 17 years until completely used. The ITC cannot offset some specific taxes, including self-employment taxes such as Social Security or Medicare. But it’s not enough to look only at tax credits. The U.S. tax code favors solar, allowing for a deduction for recovering tangible property costs over its useful life. As does most property, solar energy equipment qualifies under the Modified Accelerated Cost Recovery System (MACRS). In addition, the equipment is eligible for a bonus depreciation in the first year, which along with MACRS lets solar investors recover their capital expenditures through annual deductions. In 2016, Congress voted to extend the energy ITC and Bonus depreciation tax incentives and in 2017 Congress voted to increase and extend the Bonus depreciation for many years to come. 5. How does SDC Energy integrate all the solar power and virtual metering components? Powering Title 24 is a trio of services. We combine Baja’s solar generating carports with Grid’s intelligent software and bring all the pieces together by financing and managing each solar project from origin to operations. SDC Energy is a financing company. We leverage our private investor network to finance solar projects for installers, while providing custom tax-enabled financial solutions to the financiers. Because we have a very direct approach to commercial solar financing, we can offer flexible terms that produce remarkable value for solar customers. We have two unique approaches to streamline project funding: the first is a 10-year lease; and the second is a pre-pay solar financing program which consists of one payment upfront, with no future payments. Both types of financing provide a quicker path to acquire the solar equipment and lower cost of ownership ensuring the property will enjoy cost-free solar for many years. Contractors can submit projects online and find out in a matter of a couple of days if their projects are financeable through our company. 6. Why solar carports instead of solar panels on rooftops? Solar carports allow for more area of coverage and serve multiple purposes. Not only can they be the property’s power source, producing more power than rooftops, they offer protection to vehicles from the elements of weather, while providing shade coverage, where shade wasn’t. Solar panels on rooftops, however, serve a single function: to generate electricity. Additionally, their area of coverage can be compromised by the building’s architecture, its rooftop’s mechanical equipment, and surrounding obstructions; trees, chimneys, and other buildings. Baja solar carports are optimized to capture all that the sun has to offer throughout the day’s exposure. A rooftop cannot be redirected to face the sun, or its pitch changed to gain maximum PV production. 7. How do tenants of buildings with solar power on carports save on their utility bills? Grid’s Ivy platform intelligently tracks the quantity and time of solar energy applied to the tenant’s energy usage using a proprietary algorithm. The algorithm evenly distributes the solar power across all opted-in tenants using short time interval loops to ensure fairness and equal distribution. Because the applied solar energy is referenced against the tenant’s exact utility rate plan or time of use variables, the tenant is always saving money if they are receiving solar power — no matter what. Typically, landlords are setting the pass-through percentage savings to five to ten percent, although they can decide to set a higher discount if desired.